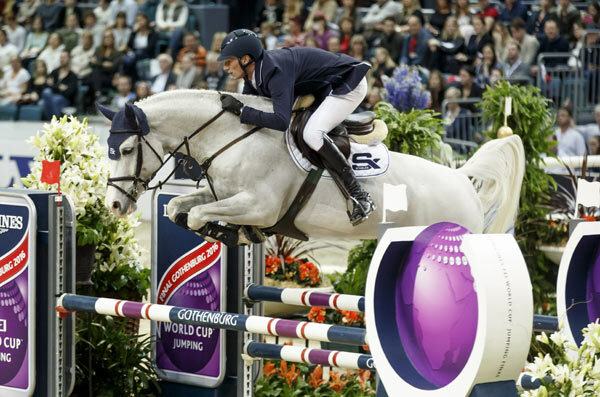 Steve Guerdat’s victory in the Longines FEI World Cup Jumping Final bring the number of Swiss wins in the 38-year history of the FEI World Cup Jumping series to four. Guerdat, 33, produced two faultless rounds on Monday night with Corbinian in the Scandinavium Arena in Gothenburg, Sweden. Here’s what the leading riders and officials had to say after the weekend. [When asked when he felt his relationship with his horse was beginning to gel] “To be honest just the last show in ‘s-Hertogenbosch I had a really good feeling over three days. That was the first time. I said after London at the World Cup in December I want to plan this horse for the Final, and then I took him three weeks in Spain to just play around with small classes. I tried a few bits, I tried to change a little big my riding, and after that I thought he really needs to do one bigger show before the Final so we went to ‘s-Hertogenbosch and I jumped him three days in a row and he felt really really good for three days, and that really gave me confidence coming into this final”. [Solem and VDL Wizard were the top-placed US combination] “He [VDL Wizard] should have been double-clear, but I was a bit slow getting to the first fence. It was totally my fault.